Those mason jars look so gorgeous! Everything sounds delicious. Oh, yum! 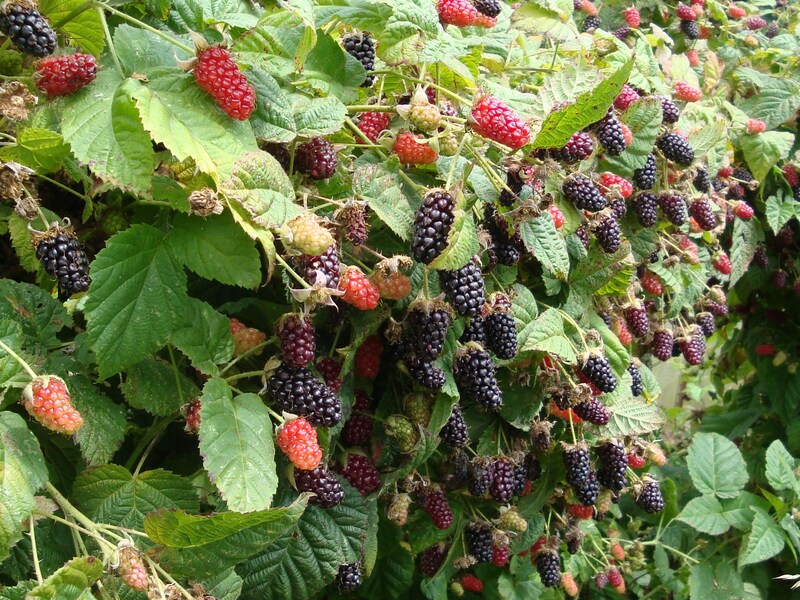 I didn’t know the marionberry was a type of blackberry — I always wondered. I’ve been meaning to tell you, we started the coffee bourbon infusion a few days ago, and I can hardly wait until it’d ready! Awesome! I can’t wait for you to try the coffee bourbon. It is amazing. The blackberries may be the best thing about living in the PNW as far as I’m concerned. These sound amazing! Yeah, I get a bit tired of the rain, but the berries are pretty freaking amazing! Love blackberries! Will have to try a few of these! 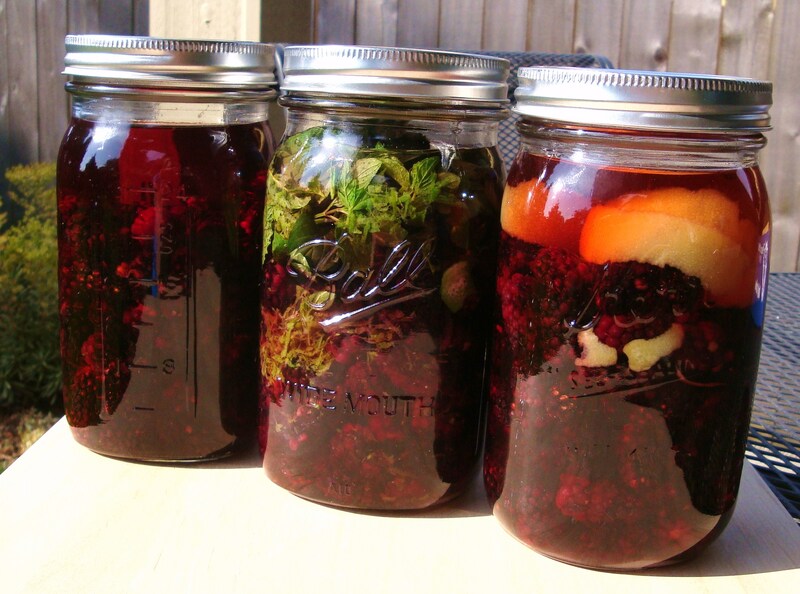 Will have to try the mojito one, I have a bramble in my yard and this year looks to have a good crop. Just another month or or so. But what are chocolate mint leaves? Great! I hope you do try it. Chocolate mint leaves are just a variety of mint, there are many varieties of mint, and I just happen to have spearmint and chocolate, so that is what I used. A traditional mojito would use spearmint, and that is what you usually see at the store, labeled “mint” in the fresh herbs section. Lucky you getting all those marionberries. These recipes sound wonderful. It is an honor to have been featured with you on Punk Domestics, today. Thank you! And thanks for leading me to your blog. Very fun site! Yes! I hope some of those marionberries did find their way into some bourbon! And please do try making the coffee bourbon. It was so good! And if you make it, do not skip the milkshake recipe! Great question! I used white rum, as I was going for a “mojito” taste, but I think a dark rum would also be delicious. Thanks! I will try the white rum. Here, in England, we are not big mojito drinkers so I wasn’t sure. Blackberries picked and waiting in my kitchen…..
By “seal well” do you mean close tightly, or do we have to can (as in boil until it seals) it? Hi – please just close this tightly. DO NOT can/boil this. It is very dangerous to boil the alcohol. Hi Alicia, I’ve been looking for a blueberry infused bourbon recipe. I see you use dried cherries for your cherry infusion but fresh berries for your marionberry one. Is there a rule as to which preparation of fruit you use? I’m afraid the fresh blueberries won’t have the same sweetness as the dried ones. Thanks!